Mouth guards and night guards are worn during certain occasions where damage to the teeth is possible. Mouth guards are coverings worn over teeth to protect them against any sport injuries. Custom-fitted mouth protectors are individually designed and made at professional lab. Your dentist will make an impression of your teeth and a mouth guard is then molded over the model using a special material. Using this technique creates mouth guards that provide the most comfort and protection. Bruxism is a condition in which you grind, gnash or clench your teeth. If you have bruxism, you may unconsciously clench your teeth together during the day, or clench or grind them at night (sleep bruxism). Teeth grinding or clenching, which may be loud enough to awaken your sleep partner. Worn tooth enamel, exposing deeper layers of your tooth. Jaw or face pain or soreness. Pain that feels like an earache, though it’s actually not a problem with your ear. Dull headache originating in the temple when you wake up in the morning. Damage from chewing on the inside of your cheek. 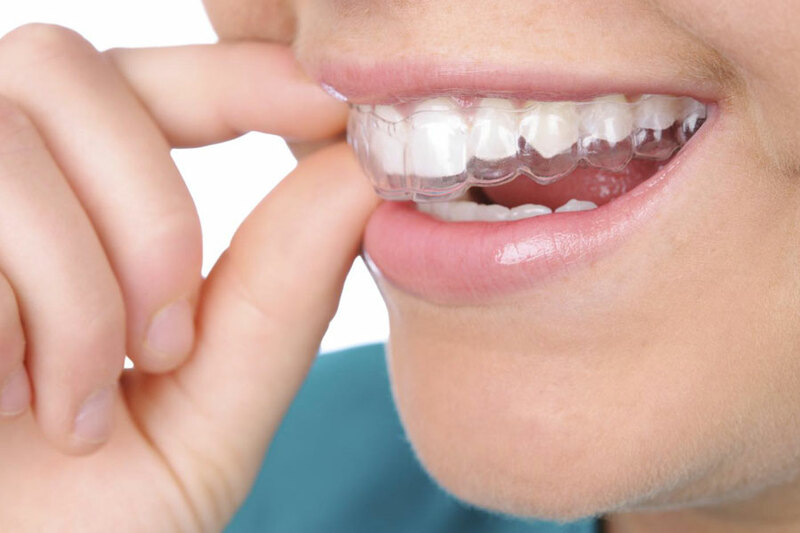 There are various ways to treat bruxism but the most effective way to protect the tooth structure is by wearing a night guard. Night guard is a covering of special material worn over teeth. Which is made by Custom-fitting to one’s jaw structure, individually designed and made at professional lab. The technique is identical to the way mouth guards are made; your dentist will make an impression of your teeth and a night guard is then molded over the model using a special material. Thoroughly brush and floss your teeth before wearing the appliance. Soften the appliance in warm water before placing in your mouth. Use your finger to place the appliance over your teeth. DO NOT bite until it is properly in place. DO NOT eat or drink while the appliance is in place. Use your toothbrush and toothpaste to clean the appliance after removing it. The appliance may also be cleaned by soaking it in denture cleaners such as Efferdent or Polident. Bring the appliance to all appointments (adjustments may be necessary). Please call our office if you have any questions or concerns about the use of mouth guards and night guards. We are always happy to help you.